Want to know more about foot-binding which began in China in the 10th century during the Tang Dynasty? 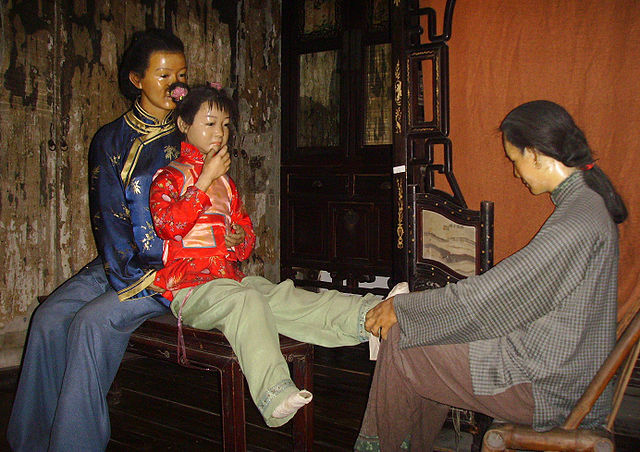 The Atlantic Magazine has a terrific essay about the origin and impact of foot binding. Did you know, for example, that it started when an emperor's concubine bound her feet for a dance. The practice spread as other women wanted to imitate her in order to gain the emperors favor. And did you know that practice continued well into the 20th century. Pearl Buck wrote about it her best-selling book, "The Good Earth.